Granite City Food & Brewery is a full-service event venue hosting corporate events and private parties in Naperville. Expect good food, handcrafted beer, a comfortable atmosphere, and a friendly, professional service staff dedicated to making your party a success. A private dining director will partner with you to make sure you and your guests get the best dining experience. Private parties at Granite City are offered customization menus and dining rooms with video conferencing and projection systems. With every detail taken care of by an industry professional, you can attend to your event, and your guests. MAKE A RESERVATION ONLINE NOW, or call 630-544-3700 today to speak to a friendly and helpful representative at Granite City Food & Brewery. You can also email anytime at corporate@gcfb.net. 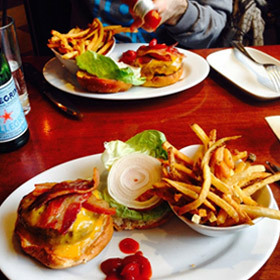 A fresh, diverse casual American cuisine menu perfectly complements the wide range of homemade craft brews available for regular dining and private parties. At Granite City Food & Brewery, our chefs, service, and wait staff share a passion for great food and hand-crafted beer presented with extraordinary hospitality. 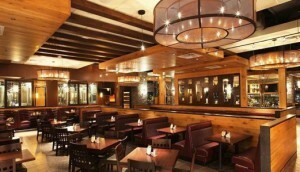 Private dining rooms can accommodate private parties from 10-70 guests. Throw your private parties at Granite City Monday through Thursday from 11 a.m. to 11 p.m., Friday and Saturday from 11 a.m. to midnight, or Sunday from 10 a.m. to 9 p.m. There are four dining room options to fit the size and scope of your event. MAKE A RESERVATION ONLINE NOW, or call 630-544-3700 today to speak to a friendly and helpful representative at Granite City Food & Brewery.